Bollywood or Film Industry in India is more than 100 years old and during this period many Actors and Actresses have tried their luck. Out of these Celebrities, some were failed to leave there mark but few celebrities like Salman Khan, Aamir Khan, Madhuri Dixit are few names which are still in the industry and entertaining us. 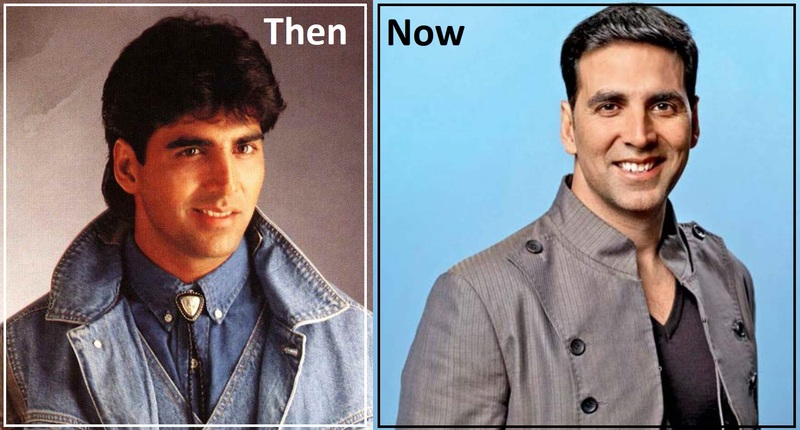 In this post, we are going to see how these celebrities looked at the time they entered in the film industry and how their looks changed now. She made her Bollywood debut in the movie Baazigar in the Year 1993 with Shahrukh Khan and Kajol. After that she appeared in near about 40 Hindi (Bollywood) and regional movies. Her work in the movie Dhadkan, Rishtey was appreciated by the movie critics and her fans. Winning the British TV show Big Boss 5 was a turning point of her career which re-established her status in Bollywood. Above is her Pic from the movie Baazigar and her latest Photo. 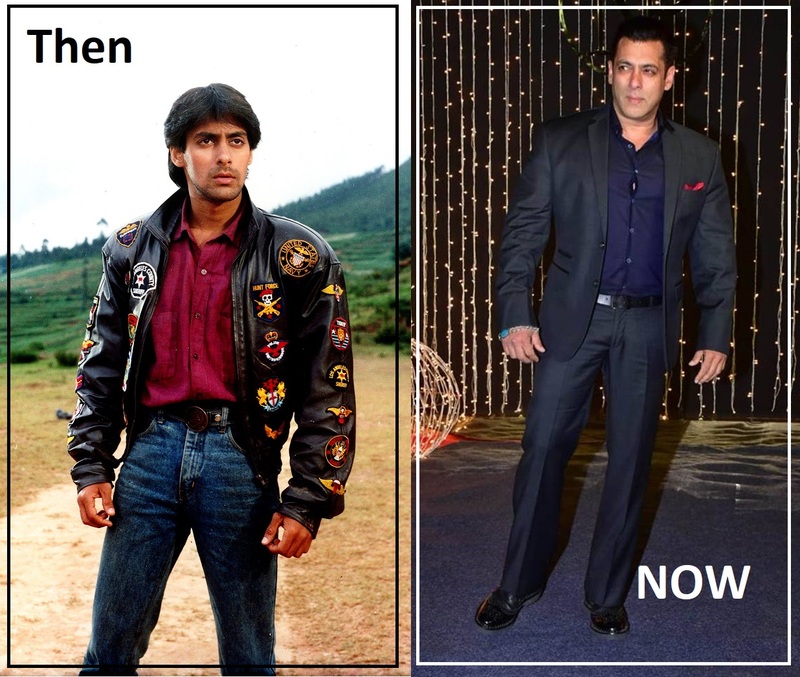 Salman Khan began his acting career with the movie Biwi ho to aisi in 1988 but his second movie “Maine Pyar Kiya” he received Filmfare Award for Best Male Debut and also the movie is one of the India’s highest grossing film. 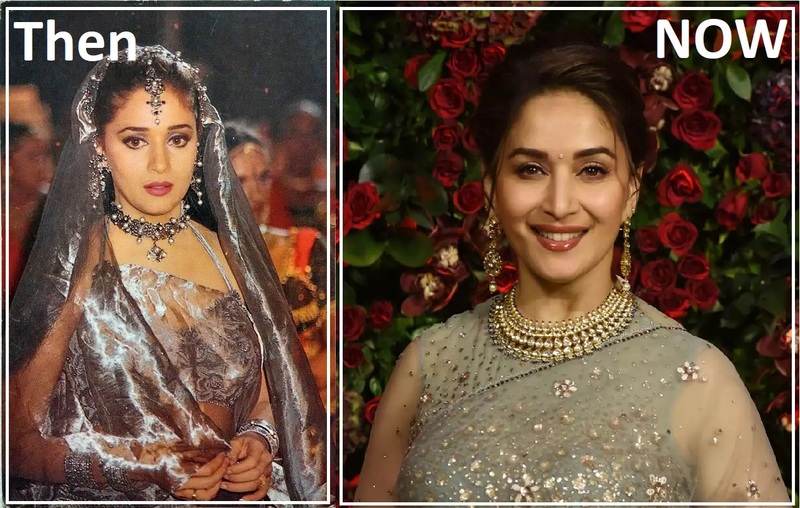 Madhuri Dixit was born on 15 May 1967 and made her debut in the movie Abodh (1984) but received wider public recognition with the movie Tezaab in 1988. She has won six Filmfare Awards, four for Best Actress, one for Best Supporting Actress and one special Filmfare award for completing 25 years in Bollywood. Recently she has done an item song in the movie Yeh Jawani Hai Deewani at the age of 46. 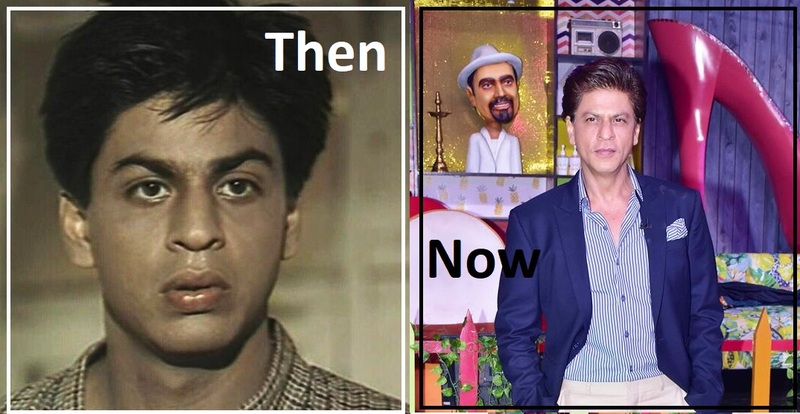 Shah Rukh Khan also known as SRK or King Khan started his career as Television actor in the TV Serial “Fauji” in 1988 and he started his film career from the movie “Deewana” 1992, alongside Rishi Kapoor and Divya Bharti. His Latest released movie Chennai Express broke many Box Office and Bollywood records. Ajay Devgan born in Devgan family who are all related to the Hindi film industry in Mumbai. He started his career as a child actor in Pyari Behna, began his professional career six years later with Phool Aur Kaante in 1991 and received a Filmfare Award for Best Male Debut for his performance. Amir Khan Aamir Hussain Khan born on 14 March 1965, known as Mr. Perfectionist in Bollywood started his career as Child Actor in the movie Yaadon Ki Baarrat (1973) and started his professional career with the movie Holi (1984) but Qayamat Se Qayamat Tak (1988) was his first Hit movie. 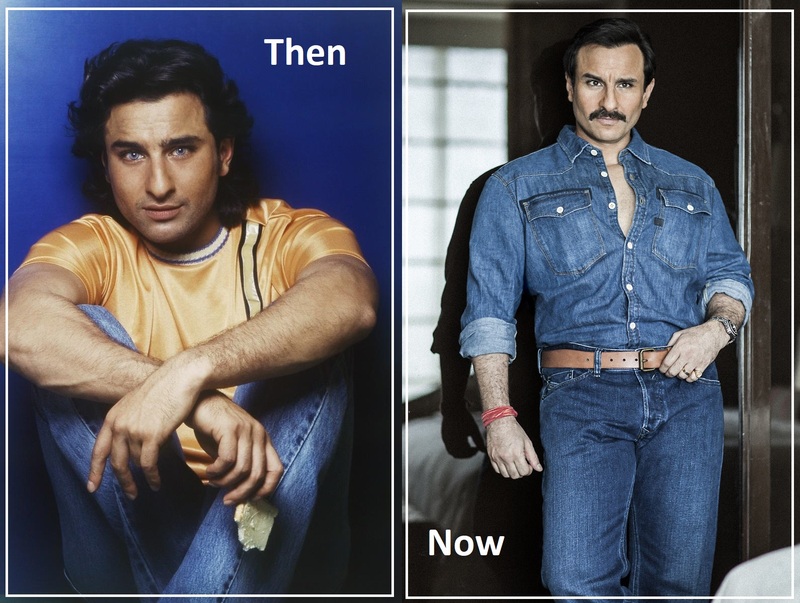 Saif Ali Khan is the son of the cricket player and last titular Nawab of Pataudi, Mansoor Ali Khan, and actress Sharmila Tagore. He made his acting debut in 1992 with Yash Chopra’s Parampara, but had his first success with the 1994 films Main Khiladi Tu Anari and Yeh Dillagi. Sanjay Dutt was born on 29 July 1959 to Bollywood actors Sunil Dutt and Nargis Dutt. As a child actor, he appeared in the 1972 film Reshma Aur Shera but he made his Bollywood movie debut with Rocky in 1981. He was briefly associated with politics and is also infamous for felonies committed during 1993 Mumbai blasts.